Indian Air Force will formally induct its first C-130 J Hercules Transport aircraft on February 5. 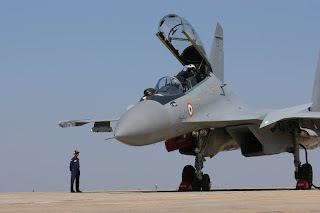 The aircraft is likely to arrive in the country by the end of this month and would be formally inducted into the IAF at a ceremony at its home base Hindan air base near here on February 5, IAF officials said here. The first of the six aircraft procured by India under USD 970 million deal was handed over to IAF in mid-December. The aircraft is expected to enhance IAF''s special missions capability along with transporting men and material. India had purchased the aircraft under the US government''s Foreign Military Sales route that includes an offset clause under which the firm will invest 30 per cent of the deal amount back in Indian defence industry. The aircraft will be based at Hindan in Ghaziabad just outside the capital, where the infrastructure for its deployment has been completed. The aircraft would also be pressed into service for transporting special forces from the capital to other placesin the country in case need arises. The US government had offered a unique C-130J configuration modified for special mission roles and these will be the first uniquely configured aircraft in the IAF fleet for its special operations. The aircraft will be able to perform precision low-levelflying, air drops, and landing in blackout conditions. Special features are included to ensure aircraft survivability in hostile air defence environment. India is also planning to place orders for six more similar aircraft and likely to send a Letter of Request to the US Government in this regard in near future. INS Vikrant - Specifications and Systems.